Home » Competition » South Africa » BURGER KING® South Africa UEFA Champions League Promotional Competition 2018. BURGER KING® South Africa UEFA Champions League Promotional Competition 2018. These terms and conditions (“Terms and Conditions”) must be read with Burger King® South Africa’s website terms and conditions (“Website T&C’s”), which are available at www.burgerking.co.za (“Website”) and any BURGER KING® South Africa promotional material utilised for the Campaign. Please note that certain defined terms contained in the Website T&C’s will be utilised in these Terms and Conditions. 1. Please read these competition Terms and Conditions (“Terms”) carefully. These Terms apply to all persons entering the promotional competition (the “Competition”) conducted by Burger King® South Africa (Pty) Ltd (Registration Number: 2011/143896/07) in partnership with PepsiCo Inc.
3. The Competition is organized by Burger King® South Africa in partnership with PepsiCo Inc, and is open to all citizens and legal residents of South Africa (provided that the entrant is also a legal resident in South Africa at the time of winning and receiving any Prize herein), and whom at the time of entering the competition are over the age of 18 (eighteen) years, and are in possession of a valid South African Identity Document (note: in the case of residents: participants/entrants must also have a valid passport and necessary residency permission). Persons that are excluded from entering the promotional competition is any person who is a director, member, partner, employee or agent of, or consultant (“Associates”) of Burger King® South Africa or PepsiCo Inc, or any other person who directly or indirectly controls, is employed by or is controlled by Burger King® South Africa or PepsiCo Inc, and/or immediate family members of Associates, who are indirectly or directly connected to or employed by any party in the aforementioned capacities or relationships, their advertising agencies and its affiliates (“Disqualified Persons”). 4. The Competition will run from the 8th of March 2018 at 00:01 and will end on the 26th of April 2018 at 23:59 (“Competition Duration”). 1 (one) Travel Package (for winner and a partner) to watch the Final of the UEFA Champions League 2018 in Kiev, Ukraine. 6. To stand a chance of winning the travel prize in the competition, entrants must purchase any Extra Long Chilli Cheese meal or Chilli Cheese Chicken meal from any Burger King® South Africa restaurant. (“Participating Products”). Entrants must then SMS their name and unique code that is printed on the till slip to 30113. Participants should then retain their till slip for verification purposes in the event that the participant is selected as the competition winner. Free minutes and SMS bundles do not apply. Entrants may only use each unique code once to enter the promotional competition. 7. 7. PRIZE: Participants stand a chance to win 1 (one) Travel Package (for winner and a partner) to watch the Final of the UEFA Champions League 2018 in Kiev, Ukraine (“Competition Prize”). The prize draw will take place on 26 April 2017 (“Competition Prize Draw”). The Competition prize package consists of 1 (one) Final game double tickets. The promoter will contact the possible winners on the mobile number used to submit the selected entry into the promotional competition within 5 (five) days of the prize draw to participate in an audit verification process together with their till receipt, a copy of their Identity Document/Proof of Residency, and copy of passport of both the possible winner and partner that is valid for at least 6 months after 30 June 2018. In other words, valid at least until 31 December 2018, and which passports must have at least 6 (six) blank pages), in order for a possible winner’s particular entry to be confirmed as valid. Once the verification process is completed successfully, the winner will be declared as the winner and notified as such on the mobile number used to submit the selected entry into the promotional competition. Once the winner is declared as such, they will be notified by Burger King® South Africa on the next steps to arrange the necessary travel details. The competition prize travel package includes double tickets to watch the Final UEFA Champions League 2018 soccer game live in Kiev, Ukraine (as stated above) (Note that the allocation of the seats for the game match tickets are given to the competition prize winner at the promoter’s sole discretion and no substitution will be allowed), return flights for winner and his/her partner on economy class on a flight route and airline of the promoters choice, from the nearest airport to the city in South Africa (where the winner resides) to Kiev, Ukraine where the game is being played, 2 (two) nights’ hotel accommodation whereby couple (winner and partner) share a standard hotel room in a 3 (three) star hotel of the promoters choice, airport transfers in Ukraine, selected meals while on the trip, travel insurance and costs of relevant VISA application through South African based embassy. 8. Promoters will not be responsible for any other expenses whatsoever which the winner and/or partner may incur as a result of their acceptance of the competition prize, whether foreseen or not. 9. For the competition prize, entrants (and their chosen partner) whose entries have been drawn and have been confirmed as valid after the verification process, must be able to travel during 24th of May 2018 to 29th of June 2018 (“Travel Date”) in order to qualify to be declared a winner, failing which the promoters shall randomly draw another entry in the same manner as the first. For the avoidance of doubt, should an entrant whose entry has been drawn, and/or the entrant’s partner, at any time be refused a visa to travel to the country hosting the final (Ukraine) for any reason whatsoever or be unable to travel for any reason whatsoever or use the prize on the travel date(s) and Terms and Conditions determined by the promoters, such entrant will be deemed not to have qualified for the prize and the prize will be forfeited automatically. 10. Travel and hotel reservations are subject to availability and may not be available on certain dates, and accordingly travel date(s) may be varied and any or all amendments of travel dates will be at the promoters discretion. 11. The promoters shall not be responsible for any changes, substitution, withdrawal, cancellation or postponement of any part of the Travel package/itinerary/games beyond its reasonable control. The promoters are not obliged to award any other prizes or elements of the Prize, in lieu if any such event is canceled, postponed, substituted, withdrawn, changed or unavailable for a reason beyond the promoters control. 12. Any person who has won a prize from Burger King® South Africa and PepsiCo Inc in the last 24 (twenty four) months (as from the 1st February 2016) may not qualify as a winner under this promotional competition. 13. The winner and/or their partner’s names may be published on the Burger King® South Africa and PepsiCo Inc’s social media sites, and accordingly by participating in this competition, all entrants are deemed to have read and understood the Terms and Conditions of the Burger King® South Africa website, and of the entrants mobile network service provider and entrants further allow the promoters permission to publish his/her name and photograph on the Burger King® South Africa and PepsiCo Inc social media pages. 14. The winner and/or partner (where applicable) may be required to appear on any form of media and/or social media, for which no fee will be payable, and subject to the provision that the winner and/or partner (where applicable) may at any time prior to such marketing appearance, decline the request by Burger King® South Africa and PepsiCo Inc to do so. 15. The copyright, intellectual property rights, image rights and any other rights vesting in any competition footage, posts and photographs (whether depicting the winner and partner or not) shall remain the property of Burger King® South Africa and PepsiCo Inc, who reserves the right to use it in any way. 16. Any participant or partner of a winner, who transgresses any of these terms and conditions or disparages the promotion or promotional brands in any way or who acts in any way contrary to the spirit of this competition, may be banned from entry into this, or into any other of Burger King® South Africa competitions, for a period deemed appropriate by management. 17. Burger King® South Africa reserve the right to cancel or amend or alter the competition and its rules or prizes (not already awarded, to any other prize of comparable commercial value) at their own discretion at any time, if deemed necessary in their opinion and/or if circumstances arise outside of their control, without prior notice and no entrant shall have recourse for such cancellation or alteration. Any changes will be posted either within the competition information or these Terms and Conditions shall become effective immediately after being altered or on such date as may be determined by the promoters. No participant shall have any recourse against Burger King® South Africa as a result of the alterations of the rules or the prize. 18. Entries which are unclear, illegible, are submitted via an incorrect entry mechanism or contain errors or from Disqualified Persons, will be declared invalid. If Burger King® South Africa is unable to reach any entrant or complete the verification process after drawing his/her entry for whatsoever reason, such entrant will be disqualified and the draw of a replacement entry shall take place in the same manner as the first draw. 19. All ancillary costs, including but not limited to transport, meals, personal and incidental expenses, insurance, government taxes or other fees applicable, are the responsibility of the winner, their partner and/or entrant. 20. All entrants and the winner as well as their partner, as the case may be, indemnify Burger King® South Africa, PepsiCo, their advertising agencies, advisers, nominated agents and suppliers against any and all claims of any nature whatsoever arising out of and/or from their participation in any way howsoever in this competition (including, as a result of any act or omission, whether as a result of negligence, misrepresentation, misconduct or otherwise on the part of the Burger King® South Africa and/or use of the prize). 21. 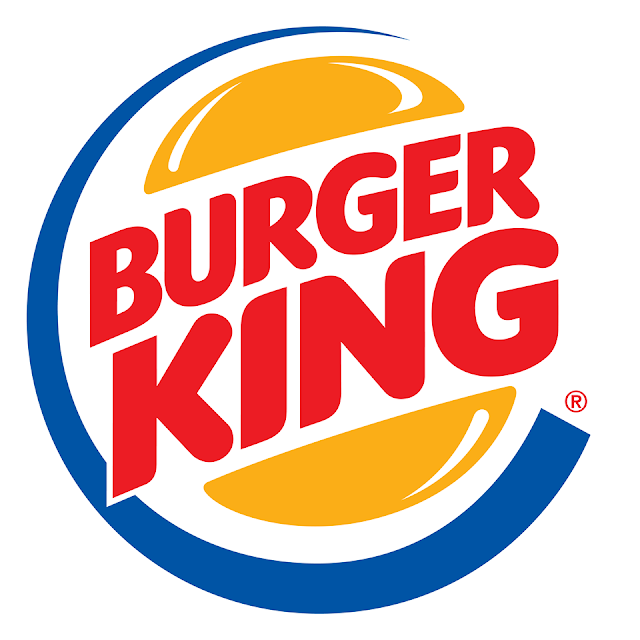 All entrants and participants are advised that in compliance with the laws of the countries in which Burger King® South Africa operate, Burger King® South Africa is required to retain certain information (where applicable) of participants, entrants and winners as well as their partners for a period of 3 (three) years (“Personal Information”). Such Personal Information to be retained by the promoters includes (but is not limited to) the full names, identity numbers, contact details and winners acknowledgment of prize receipts. Accordingly Apex will require the winners and their partners (where applicable) to complete and submit an information disclosure agreement and indemnification to enable Apex to ensure compliance with these rules, as well as with the South African Consumer Protection Act 68 of 2008 (“Consumer Act”). Should any entrant, participant and/or winner and/or their partner refuse or be unable to comply with this rule for any reason, such entrant, participant and/or winner and/or their partner will be deemed to have rejected the Prize(s) and it shall revert back to the Burger King® South Africa. 22. All queries in connection with this promotional competition should be directed to Burger King® South Africa Customer Care Line – 080 946 7737.